For foreign tourists and visitors of Vietnam as well, a hydrofoil trip to Vung Tau city from Ho Chi Minh to relax on the beach, climb the mountains, watch sunrise or sunset sitting along the beach coast or at the lighthouse and enjoy eating seafood is the best solution to escape from the stressful working time on weekdays. 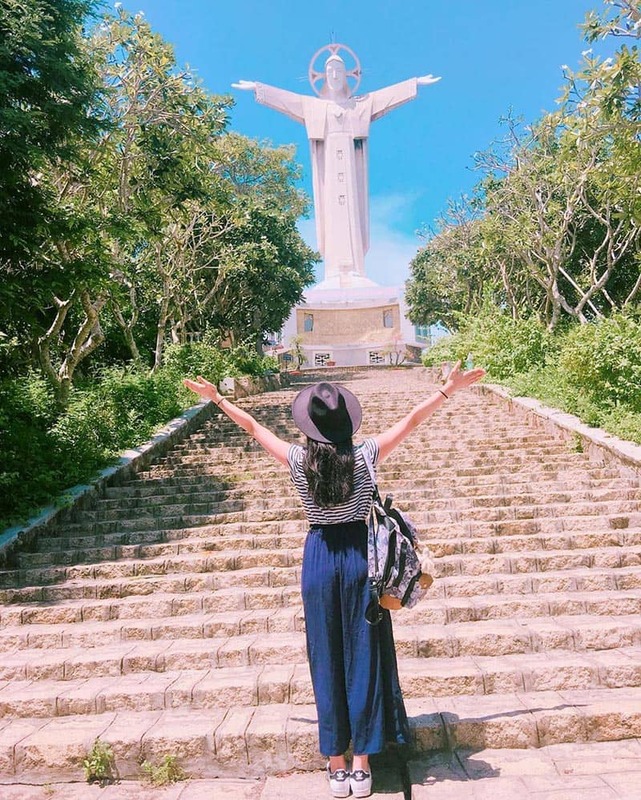 Nevertheless, one thing that should be highly recommended is a trek to The Statue Jesus Christ with of arms outstretched in Vung Tau City. Needless to say, it is the biggest Jesus Christ statue in Asia and the second tallest one only after his cousin in Rio de Janeiro, Brazil. Standing imposingly on the top of the Nho Mountain (Small Mountain) in Vung Tau City, the 32-meter statue was originally built in 1974 at an altitude of 170 meters facing the sea. It was not until 1994 that the statue was completely finished and firstly welcomed as a one-of-a-kind masterpiece that has ever had in Vung Tau in particular and in Vietnam in general. The Statue of Jesus Christ is on Thuy Van Street, the road along the beach coast of Vung Tau City. You will hardly meet any difficulties finding the way to the Jesus Statue since it is so famous to be known and easy way to reach. However, the only challenge for tourists is that you have to walk up more than 1000 stone steps to get to the arm of Jesus Christ. It is, to be honest, a long trek but there are some stops for trekkers to take a break, drink water and take some photos as a memory of the sea and surrounding areas below. Besides, the path along the route is decorated by many trees and flowers, especially plumeria flowers, spreading its fragrance around the location. Once standing in front of the Jesus statue, you can imagine a giant stretching his hands out to hold you as it is 32 meters high and extending hands is 18.3 meters long putting in parallelepiped with a bas-relief of Christ and his 12 disciples, a replica of the painting “The party of separation” by one of the famous artist in the Renaissance Era whose name is Leonardo da Vinci. When you finish walking 1000 steps, you nearly reach the destination. You will follow the circular stairs which leads you to the Jesus’s hand. The statue’s body can hold hundreds of people. There are 130 steps up to the neck, shoulders and wrists in which four or five people can stand and enjoy the paranormal view of Vung Tau. Only when you stand on Jesus’s hand and look out of the gorgeous general view can you understand why this Jesus statue is considered one of the must-go destination. Visiting the Statue Jesus Christ with arms outstretched, you will definitely feel tranquil and peaceful just like there isn’t any else to disturb you and make you nervous. 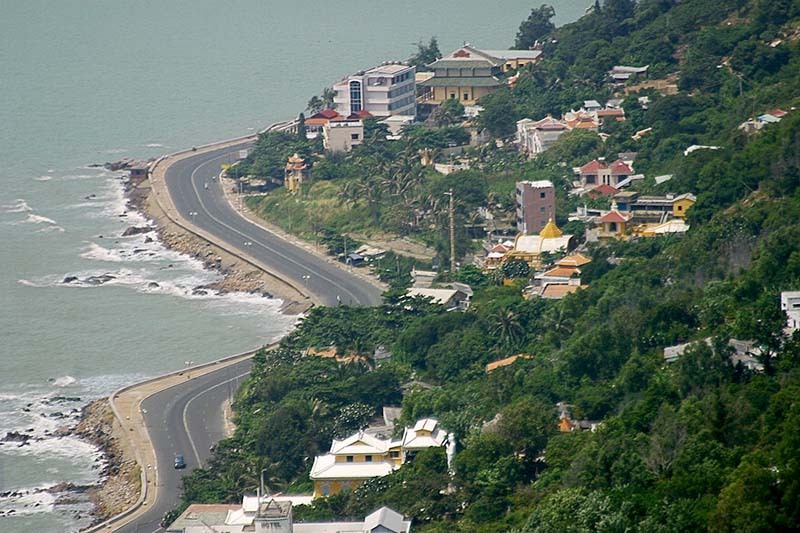 There are only you with Jesus and the extraordinary sight of Vung Tau City. 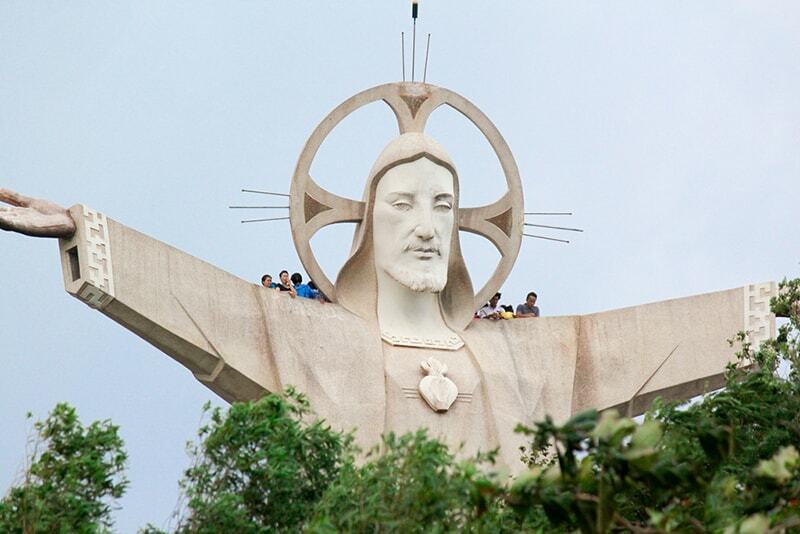 Come visit the Jesus Christ statue Vung Tau from 7AM to 5PM without costing entrance fee except the parking fee. What to say, you can donate money in order for people to fix or preserve its structure. Another thing you should take into consideration is that you need to wear discreetly when visiting this place. That means you would rather stay away from shorts or skirts above the knees since it is the religious sanctuary.